In order to make money with RR products, you need to first determine the type of products you are going to sell, as well as the overall niche market. To start, you will want to evaluate potential markets first to determine their viability, as well as analyze what is currently selling successfully within the industry. Proper research will save you a lot of time and money promoting products that people aren’t really interested in, and it will also give you valuable information regarding industry pricing and expectations regarding the products you sell. Evaluating your markets prior to choosing products will make it a lot easier to create targeted campaigns that drive in qualified visitors who are genuinely interested in the RR products you are offering. Keywords play an essential role in being able to create high performance marketing campaigns, so you’ll want to conduct quick market and keyword research to identify what keywords and phrases are being used by your target audience. You would then use these keywords in your marketing campaigns, on your sales page and even in the product title itself! If the RR license doesn’t allow you to modify the title of your product, you could always create a “companion” report that highlights the content and provides a “teaser” that gets readers excited about the material. You would then use this report to upsell the full RR product, while giving yourself the opportunity to title your report however you like. Many times, RR licenses will allow you to modify both the content and the products title, but in the event you are unable to, this is a great way of getting around it! When evaluating potential RR products, you want to make sure that the information is still viable, and isn’t outdated. You also want to be sure that it’s conclusive, and isn’t lacking important information. Again, even though you didn’t create the product yourself if you sell it under your name, it becomes part of your brand and you want to be careful to promote only quality products that will help you develop a solid reputation in the markets you choose. When browsing through marketplaces, jot down ideas that you come across so that you can later research and find relevant resale rights products currently available around those topics. You can also check out Google Trends, at http://www.Google.com/trends for additional niche ideas, using their historical data to gauge the popularity of specific topics. 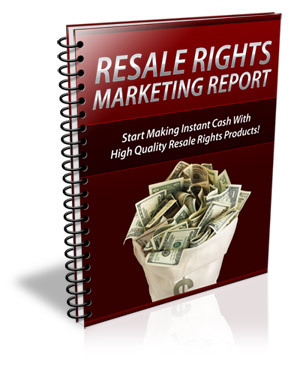 In the next section, I’ll show you how to quickly monetize resale rights products in any niche market you choose!